Summer has officially arrived! As temperatures finally are starting to increase here in the Pacific Northwest I have been looking at my warm weather wardrobe trying to figure out what it is missing and what I want. 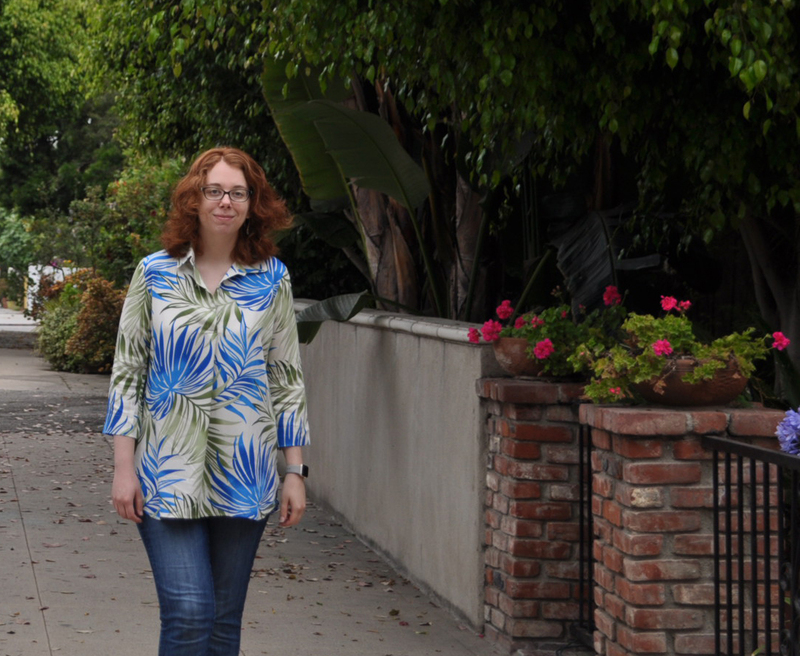 One item I keep coming back to is a RTW tunic that I absolutely love wearing. 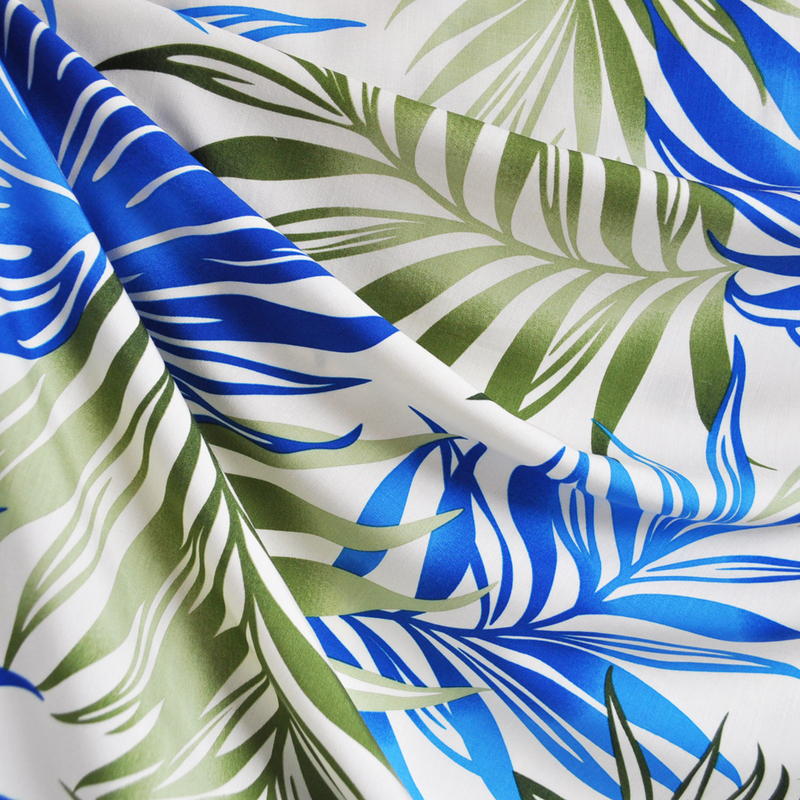 It is a soft, drapey rayon and perfectly over-sized— just the right combination for summer. In search for a pattern to create my own version I went to the sewing community on Instagram for advise. 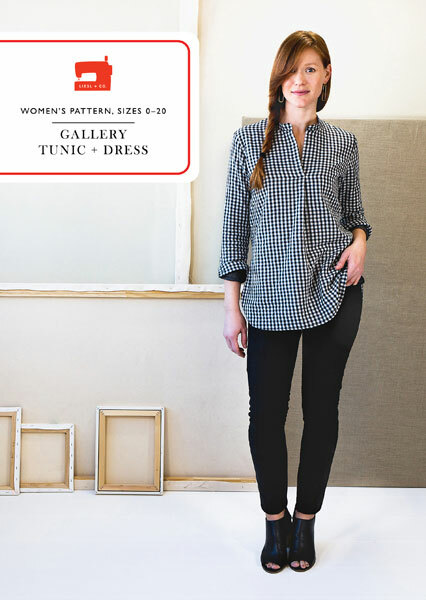 Hey June’s Cheyenne Tunic and Closet Case’s Kalle Shirt were among the recommendations, but the overwhelming response was to go with Liesl & Co.’s Gallery Tunic. Looking into this pattern further it includes the pleat details at the front and back and has that slightly over-sized relaxed look just like my favorite tunic. It is missing the gathered tabbed sleeves but that is something I can always add. Next, time to pick out fabric! 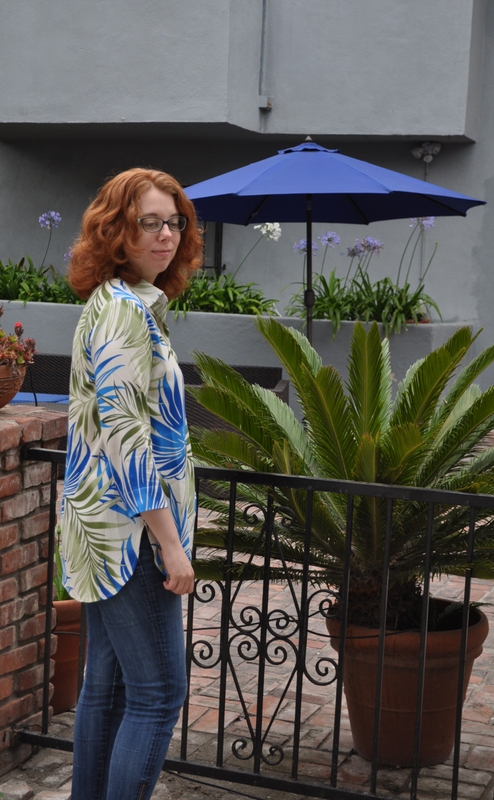 I have been kind of obsessed with tropical prints this year and thought I should probably have a fun tropical shirt for the summer. Right!? With so many fun colors and patterns to choose from I decided to start out with my two favorite colors, blue and green. A little on the safe side I know but something that I can wear everyday and not feel like I should be on a beach somewhere. In sewing up the pattern, the instructions are very clear and concise which is always appreciated. It also includes some great tips and tricks along the way that give you a very professional, finished look. I went with a size 8 in View A, the tunic length with a traditional collar, and didn’t make any major changes to the pattern. I did widen the sleeves at the elbow by about 1/2″ on either side, a standard adjustment for me. This tunic came together quite quickly once I got the front pleat and placket done. The only other time intensive step was folding and pressing the curved baseball hem in place. As recommended in the pattern, taking your time with this step as the bias folding can be a bit tricky but turns out wonderfully with a little finesse and a good pressing! After putting this tunic on for the first time I never wanted to take it off! 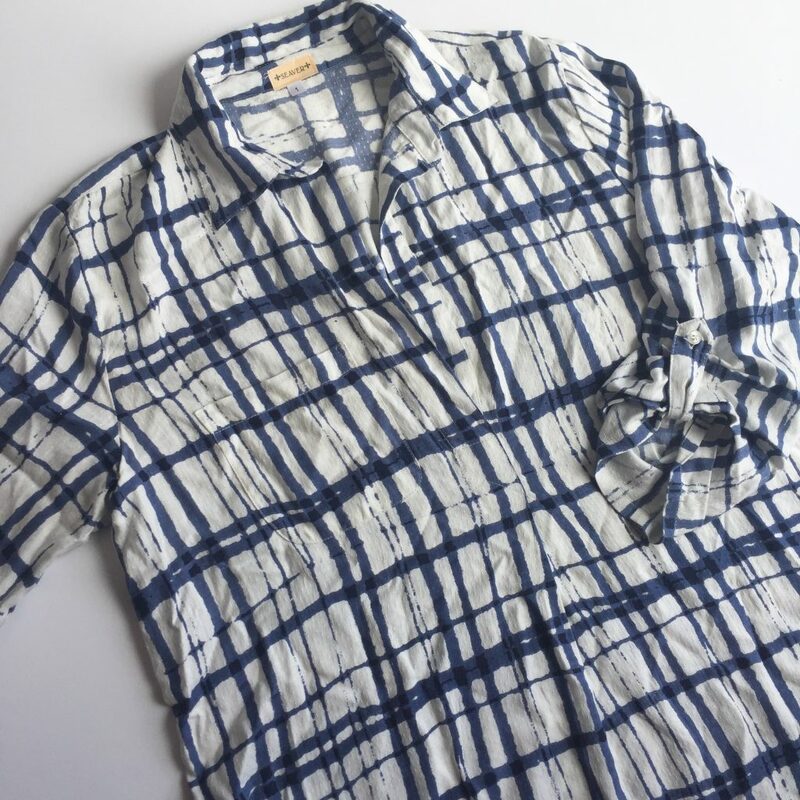 This rayon shirting was the perfect choice—soft and drapey like a rayon challis but just enough structure and stability that a more traditional cotton shirting might offer. And let’s not forget to mention that leaf print! 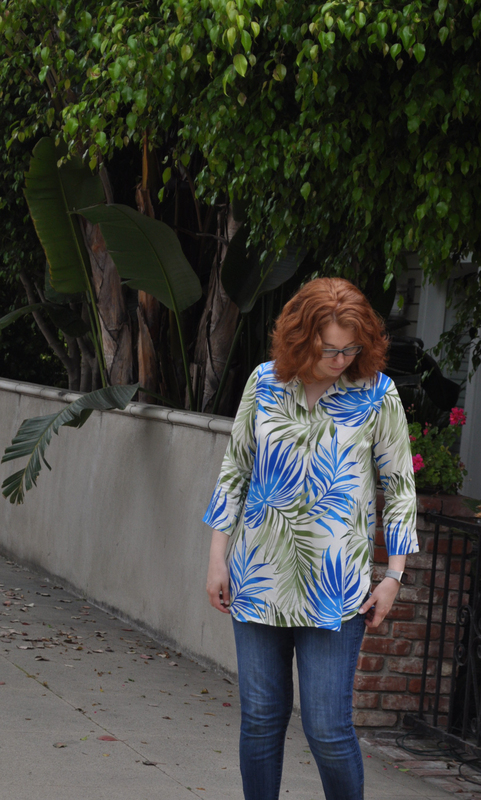 I love how this tunic length and curved hem really shows off the fabric. You also barley notice the pleats on the front and back and the color variation on those leaves is gorgeous! All in all, a great first attempt at a me-made version of my favorite tunic. I think another version is in my near future with even wider sleeves and added tab detail. 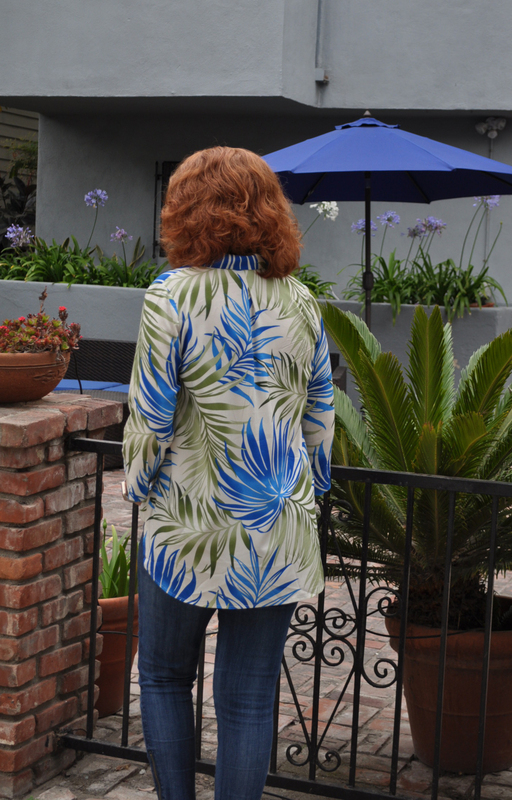 Hey June’s Cheyenne Tunic pattern will come in handy… This tropical version of the Gallery Tunic is sure to get lots of wear this summer! And I think I found a new go-to pattern to enjoy year round! This is so pretty, love the tunic and fabric.